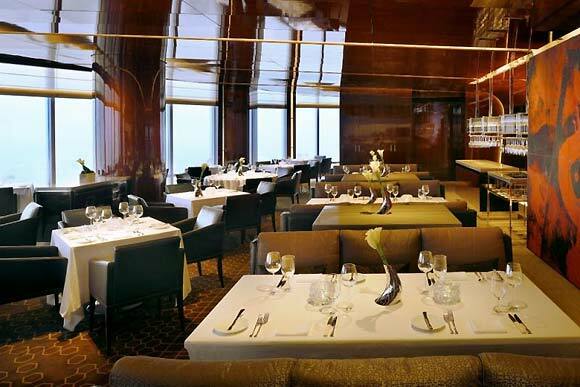 ﻿﻿If you ever find yourself in Dubai, make sure to spend a meal in the sky at what's being titled the world's highest restaurant. At.mosphere Bar & Grill is located 1,350 feet (that’s four football fields) high in the sky. 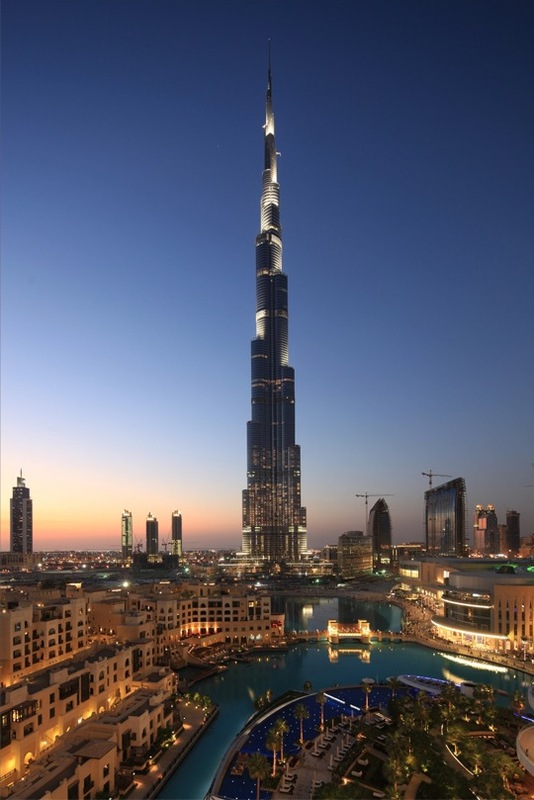 An express elevator whisks patrons up to the 122nd story of the Burj Khalifa, the world's tallest tower, standing more than 2,700 feet above ground. At.mosphere is "one of the finest luxury dining and lounge experiences in the world," said a rep from Emaar Hospitality Group, an arm of giant property developer Emaar. At.mosphere sports a modern European “grilled cuisine” menu that showcases light-styled dishes, created by their executive chef, Dwayne Cheer. Chef Cheer has spent more than 13 years working in Michelin star restaurants. But if you do find the opportunity to dine at At.mosphere, be prepared to put a small dent in your credit card. The dining experience will be at least $122 (U.S.) per person. Restaurant officials at At.mosphere plan to apply to Guinness Book of World Records for the “world's highest restaurant” title. Wow - can't believe they built a restaurant this high up! Looks like a great place to check out and eat at. I really don't want to miss meal in the sky. LOL. Sooner or later i will visit there. Is wonderful restaurant. Thanks for sharing with us. And also i want to tell you friends that don't miss the Italian Food in Coco's Restaurant Dubai. Visit once with your friends and family to enjoy the desserts and food. Vodka Eyeballing: Here’s Vodka in Your Eye! Is Bravo TV's Top Chef the Next "Hell’s Kitchen"?